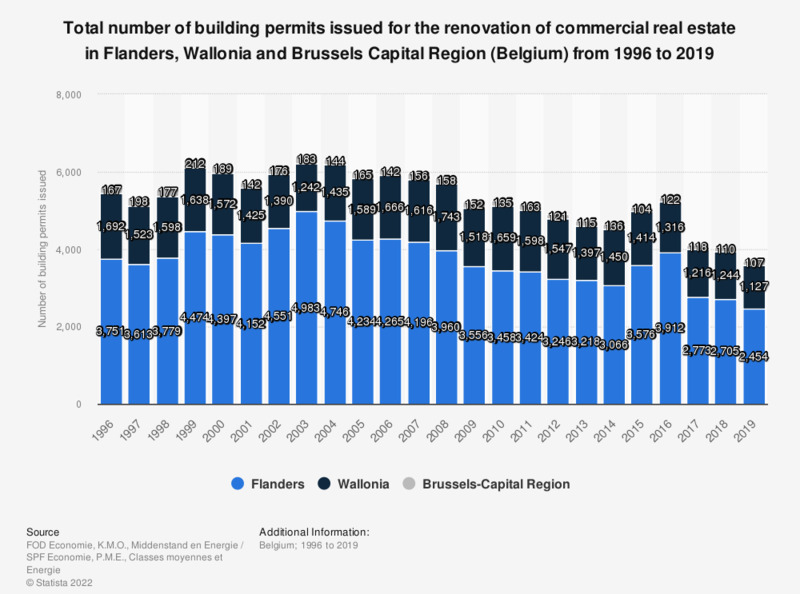 This statistic shows the total number of building permits issued for the renovation of commercial real estate in in the Belgian regions of Flanders, Wallonia and the Brussels Capital Region from 1996 to 2017. Belgium has four different governments, each with their own law and rulesets: the federal level, Flanders, Wallonia and the Brussels Capital Region (Brussels and its direct neighborhood). When researching Belgium, much data will refer to the local regions besides or even instead of the national level. In 2017, 2,728 building permits were issued in the Flemish region.